Lucien Zabuski "ZABU" was the original singer for French band Magma, however he quit the band before Magma made their first album. On this record, his first solo album, he is helped out by some of his Magma buddies, and other players who apparently were the cream of the crop of French rock musicians. Despite the fact that a lot of the players are obviously part of the Zeuhl universe, it is clear that Zabu's musical preference is blues based rock, because this is a French blues album! The music is not what you would call prog, but is progressive in the way that Captain Beefheart's Magic Band was progressive. Bluesy Beefheart lite. 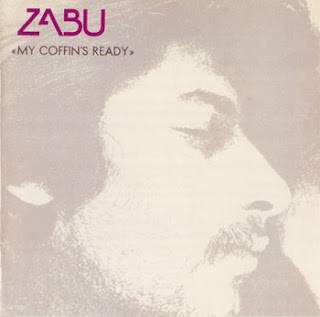 Zabu's rough, spirited vocals hold sway all over some great playing on the seven tracks of this album. Is this a masterpiece, or a historical curiosity? Check it out! See ya, and Happy Holidays! Hello mike-floyd thanks for the link! Hi Andre88 - thanks for taking the time to comment!